Smoking costs Washington state an estimated $2.8 billion per year in direct medical costs. Yet, with nearly 900,000 smokers in the state and $622 million in tobacco-related tax collections, Washington spends almost no money on programs to help people quit. 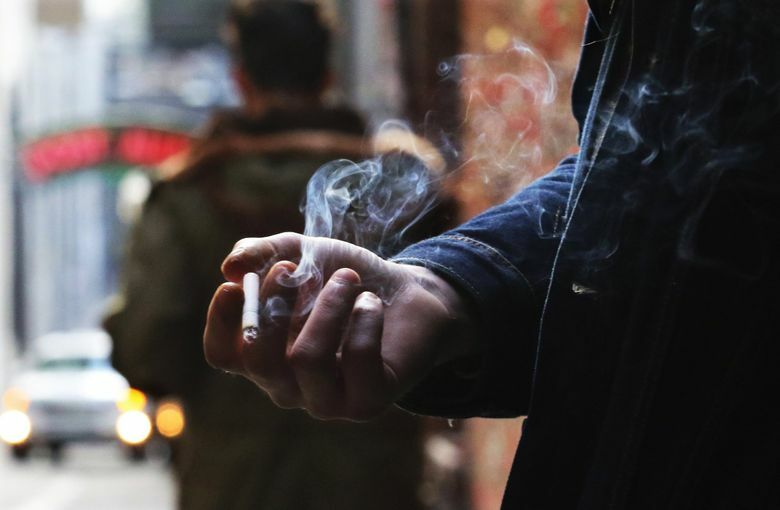 Nearly 8,300 Washingtonians die from tobacco-related illness each year: more than car crashes, suicide, opioid overdoses and alcohol combined. And smoking costs Washington an estimated $2.8 billion per year in direct medical costs, including almost $790 million in Medicaid spending. Yet, with nearly 900,000 smokers in the state and $622 million in tobacco-related tax collections, Washington spends almost no money on programs to help people quit. The sole source of funding for the state’s tobacco Quitline is a $320,000 federal grant from the CDC, said Nick Fradkin, the Department of Health’s tobacco cessation consultant. “That’s well under a dollar per person who smokes or uses tobacco in the state,” he said. That quit line is supposed to cover gum to help people quit smoking if they’re uninsured or have insurance that doesn’t cover the product. But it often runs out of money. “The contract always ends early, so sometimes people call the quit line and there’s nothing for them,” said Paige McGowan, the Spokane Regional Health District’s tobacco prevention coordinator. About 15 percent of Spokane County residents reported smoking in a 2015 health district survey. The health district has a locally funded campaign called Done My Way to direct people to resources and support for quitting. Washington’s poor performance is not an anomaly. Forty-one states and the District of Columbia earned an F grade from the American Lung Association’s 2018 report on spending for tobacco prevention and cessation. The CDC says Washington should spend a minimum of $44.5 million a year on tobacco-related programs, including $16 million on cessation. Its recommended spending level is $63.6 million per year. That’s less than 10 percent of the revenue Washington receives from cigarette taxes, which are among the highest in the nation, and from the 1998 settlement most states reached with tobacco companies. Washington’s payment from that settlement was $150.7 million in 2017, according to the Washington Attorney General’s office. That money was intended to be spent to offset state Medicaid costs for smoking-related disease. But, along with tobacco taxes, all that money goes to the state’s general fund, Fradkin said. As budgets have become tighter, that money has been used to pay for basic state services like education, rather than being earmarked for tobacco quitting and prevention programs. At one time, Washington spent more on cessation and prevention programs. A report from the Campaign for Tobacco Free Kids on prevention spending by state shows a steady decline over time. In 2000, for example, Washington spent $15 million on anti-tobacco programs. In 2018, such spending had fallen to $1.4 million. That puts the Evergreen State in 42nd place for adequately funding anti-tobacco programs. “The state funding has dried up,” Fradkin said. The spending figures include direct expenditures on programs to stop smoking. Through Medicaid, Washington does pay for treatment to help individual smokers quit. But even there, barriers remain. A CDC report released earlier this month showed individual Medicaid plans in Washington vary on the types of treatment they offer, and typically don’t cover group counseling to help people quit. Among the state’s six Medicaid plans, all cover gum, patches, inhalers, nasal spray and other products. But coverage varies by plan, according to a breakdown from the Health Care Authority, which manages Medicaid. Some plans have no limits on the number of patches or amount of gum people can receive, while others have limits per day or per year. The end result, Fradkin said, is that smokers sometimes struggle to figure out what’s covered under their plan. “The fact that the language was not clear is a barrier in and of itself,” he said.